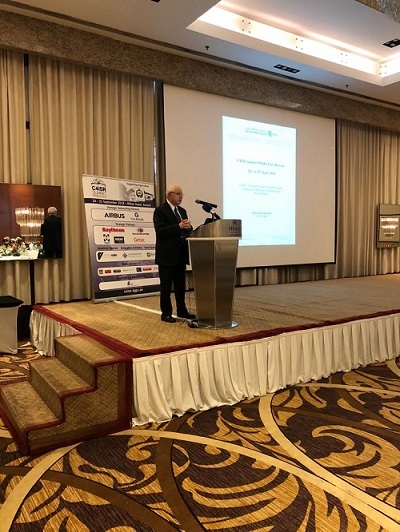 Kuwait - HE Dr. Talal Abu-Ghazaleh was invited as the VIP keynote speaker at the C4ISR (Command, Control, Communications, Computers, Intelligence, Surveillance and Reconnaissance) summit in Kuwait, held on 24th -25th September 2018. The C4ISR Summit Middle East is well known internationally as a platform through which military personnel, industry leaders and governments discuss pertinent matters related to regional security and the role that ICT based technologies play in developing robust C4ISR capabilities. The two day Summit discussed how the landscape of national and regional security has rapidly changed and the urgent need for armed forces across land, air and sea to have efficient C4ISR systems that can provide timely and actionable intelligence in order to effectively respond to threats. The challenges discussed at the Summit included the need to connect stove piped C4ISR systems to improve the analysis and correlation of military data and the necessity of developing enhanced electronic warfare capabilities in the light of growing online threats being faced by nations the world over. 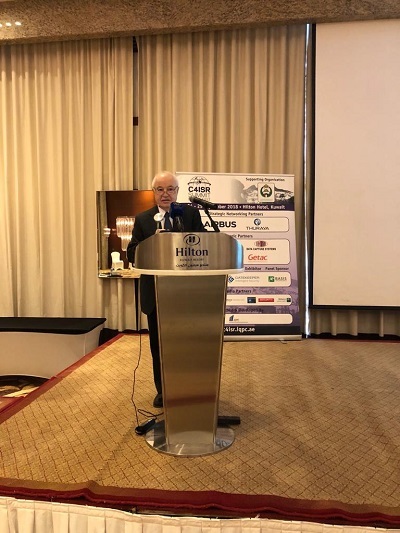 During the first day, HE Dr. Talal Abu-Ghazaleh spoke about ICT based military technologies and the need for armed forces to be adopt Artificial Intelligence to help make sense of the deluge of military data current systems produce. He called for the development an open standard of military ICT architecture to enhance the interoperability between C4ISR systems and highlighted the work of TAG-Org with the Jordan Armed Forces to initiate a number of knowledge management and information technology projects and other educational outreach facilities. He also discussed three ICT areas he saw as having the greatest impact on C4ISR, namely robotics, artificial intelligence and cyber warfare. 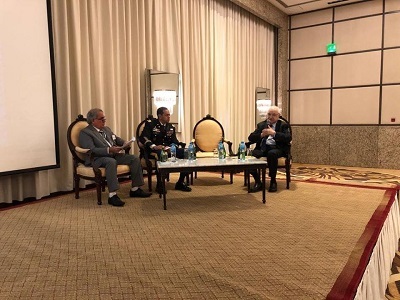 HE Dr. Talal Abu-Ghazaleh jointly led an intelligence briefing on the second day of the Summit in which he focused his attention on how best to equip armed forces to establish joint cyber defense operations. He spoke about the growing cyber threat and the need for closer cooperation between militaries in the region as previous attempts had been well intentioned but all too fragmented. He focused on the protection of critical national infrastructures (CNI) such as electricity, water and oil and gas installations which could cripple nations if successfully compromised and encouraged the establishment of a regional cyber command center that can police the regions' electronic border at its very edge. He went onto urging Ministries of ICT in the region to play a greater role in helping armed forces developing Computer Emergency Response Teams (CERTs) and the need to start developing centers of cyber security excellence in the Arab region to produce cyber security experts and innovators who can meet this challenge head on. In his concluding remarks, he pledged his support for empowerment and education particularly through his newly established Talal Abu-Ghazaleh University College for Innovation in which two specializations are Artificial Intelligence and Cyber Security. The event was attended by Arab ministers, senior military personnel from the Jordanian, UAE, Omani and Kuwaiti Armed Forces, military experts from the US and Germany as well as other high ranking military strategists and officials.